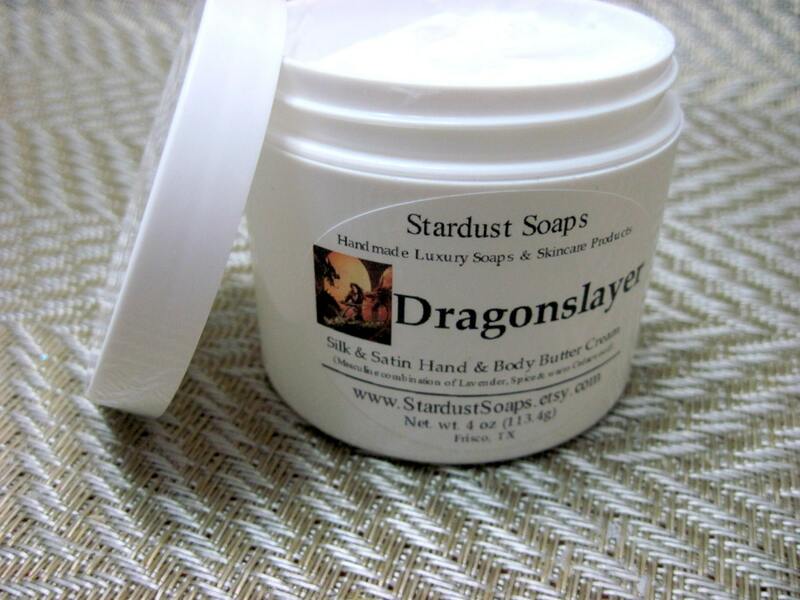 Stardust Soaps handmade, Rich, Thick, moisturizing cream. Masculine combination of lavender and spice combined with citrus and warm cedarwood. An aromatic blend that most men love, and the women love the way it will smell on you. 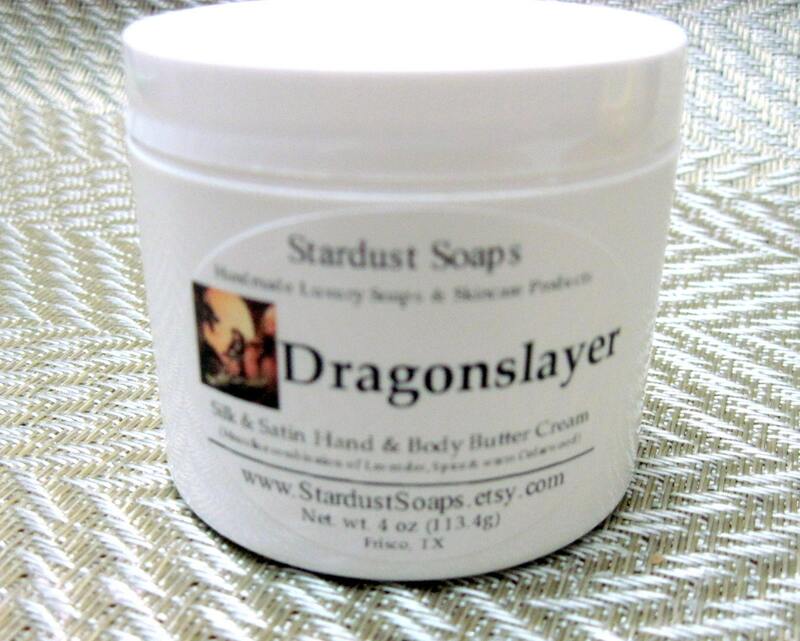 Contains Shea Butter, Aloe, Silk Amino Acids, Sunflower & Coconut Oils. Shea and Aloe are well known in helping moisturize and repair skin damage. Sunflower Oil is rich in Vitamin E, a natural anti-oxidant. Silk Amino Acids provide a protective barrier and silky note to the lotion. leaving skin soft and supple. Gentle enough for your face. A sweet gentle aroma of vanilla and sugar. Coconut oil contains the natural antioxidant, vitamin E. It does not clog pours and has been shown to protect, hydrate and nourish the skin. This lotion does not contain mineral oil. weight does not include the container. shipping overages, if applicable will be refunded during order processing.